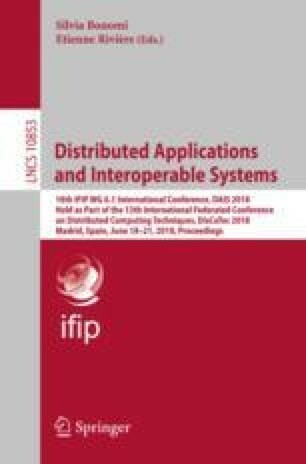 Finding the most efficient policy for the association of objects with threads is one of the main challenges in the deployment of concurrently executing objects, including actors. For the case of actor-based programs, libraries, frameworks, and languages provide fine tuning facilities for associating actors with threads. In practice, programmers use the default policy for the initial deployment of actors and the default policy is replaced with some other policies considering runtime behaviors of actors. Although this ad-hoc approach is widely used by programmers, it is tedious and time-consuming for large-scale applications. To reduce the time-consumption of the ad-hoc approach, a set of heuristics is proposed with the aim of balancing computations of actors across threads. This technique results in performance improvement; however, it relies on the static analysis of source codes and actors’ behaviors, ends in the inappropriate configuration of systems in distributed environments. In this paper, we illustrate conditions that the proposed heuristics do not work well and propose a new approach based on the runtime profile of actors for better association of actors with threads. We also show how this approach can be extended to a fully self-adaptive approach and illustrated its applicability using a set of case studies. The work on this paper has been supported in part by the project “Self-Adaptive Actors: SEADA” (nr. 163205-051) of the Icelandic Research Fund.